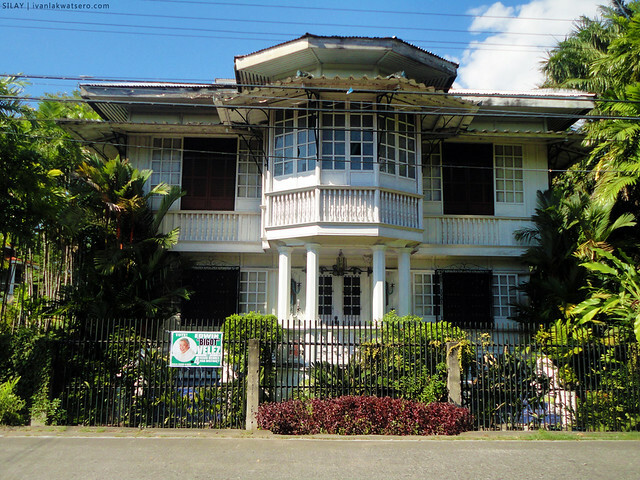 My solo wandering in the sugarland continued with a visit to Silay City, home of the 20+ well preserved ancestral houses of wealthy, politically influential (national level) families and renowned artists and intellectuals. Oh man, if you have a heart for history and culture, brace yourself as this post is quite too overwhelming! 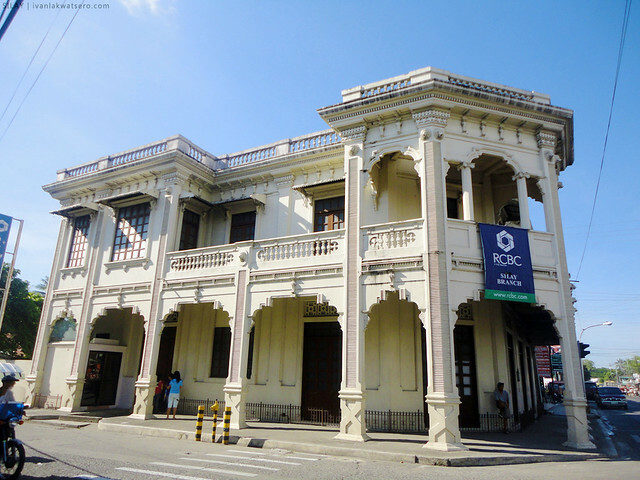 Just like the heritage towns of Vigan and Taal, Silay too boasts a number of well preserved ancestral houses and antique buildings with remarkable architecture. 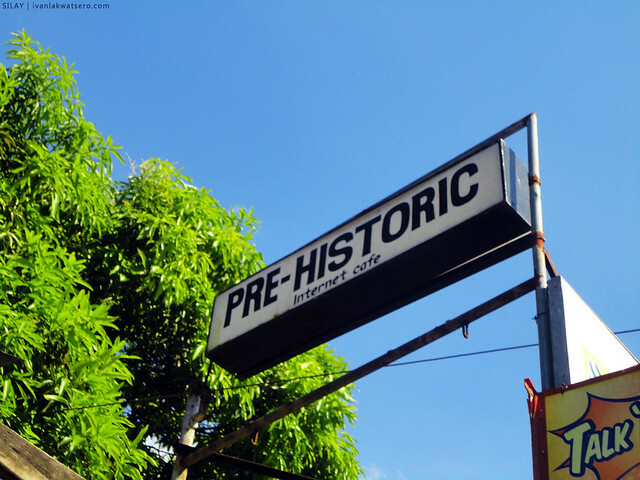 Most of which dates back in the early 1900's when the sugar industry in Negros was at its height. After days of communing with the nature at Mt. Kanlaon, and letting myself experience what the cities of Bacolod and Talisay are known for, skipping this culturally enriching town would be a perfect sin. Babangungutin ako ng ilang gabi kung hindi ko pa ito madaanan. So from Bacolod Northbound Terminal, I rode a bus bound for Victorias City and asked the conductor to drop me at Silay City. It was around 1PM when I reached my destination. Clueless of what to do first or where to start my quest, I just walked aimlessly on the streets, passing by the church, the city hall and the city library. Hindi ko talaga alam kung saan ako unang pupunta. 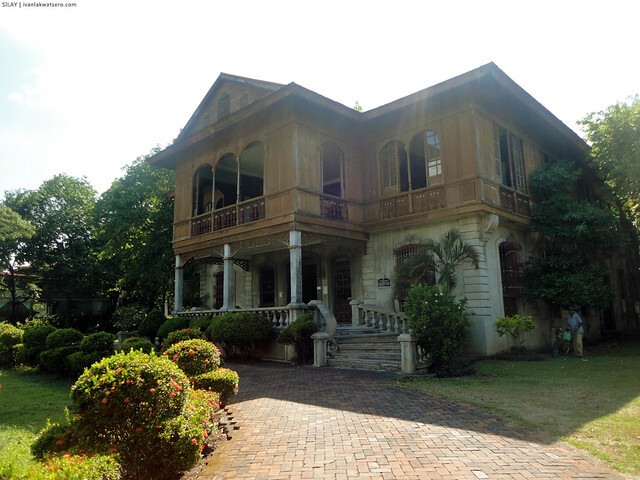 I just walked until strangely, my feet brought me in front of an elegant-looking brown ancestral house. I noticed there were people taking picture of this house so I thought it wasn't ordinary. So I walked inside, as its gates were widely open, and greeted the old man sitting at the pasilyo. 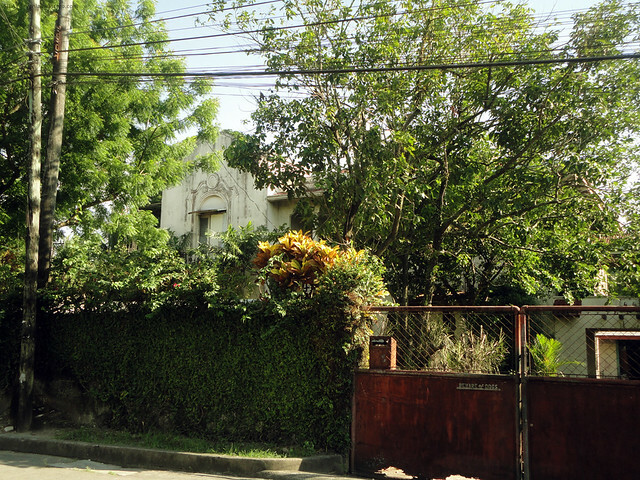 Then I saw a marker that reads "Victor Fernandez Gaston Ancestral House". 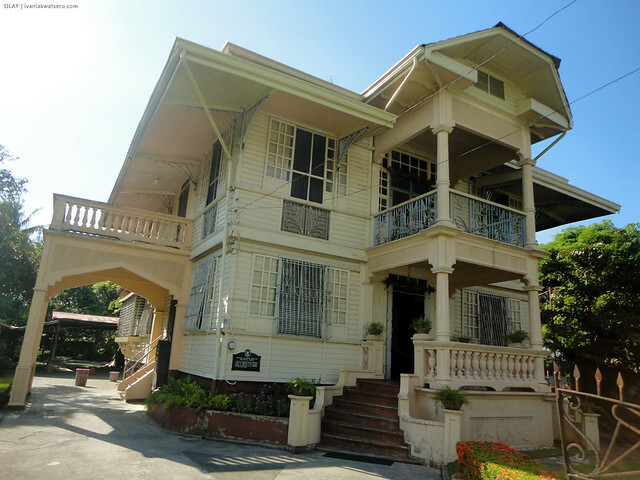 Only then I realized that I was already standing at the doorstep of Balay Negrense. 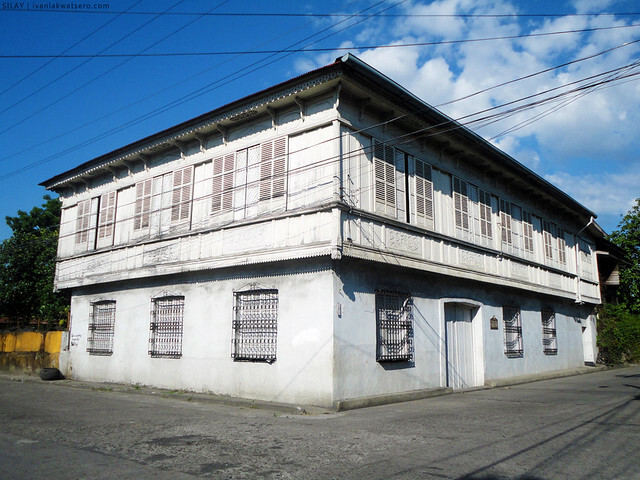 Among the 20+ heritage houses enlisted by the National Historical Institute of the Philippines in Silay, three were converted into a museum; the Victor Fernandez Gaston Ancestral House, or popularly Balay Negrense, is one of the three. I gladly entered the Balay Negrense (entrance fee: P50 for Adults, P40 for Senior Citizens, P25 for Students and Children) which features a classic set up of a typical Bahay na Bato or traditional Filipino house during the Spanish era. There's a sala, office rooms and a kitchen on the first floor, then on the second floor are the grand sala, the dining hall and the bedrooms. The whole house is surrounded by wide vintanas or windows, thus it is very well illuminated by natural light. These windows also creates a very presko ambiance in the house as air freely pass through. 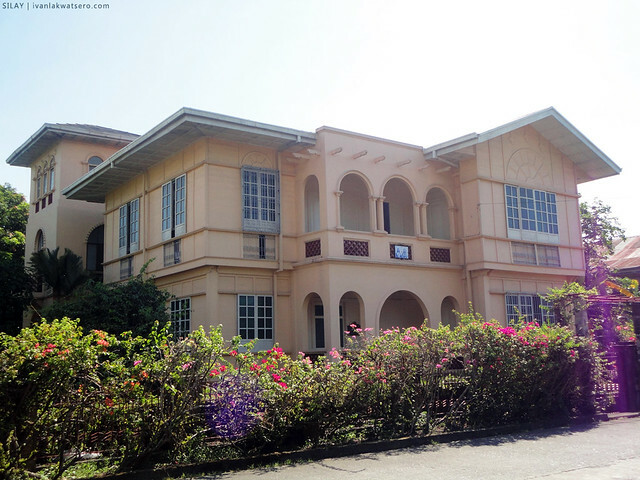 What I also liked in Balay Negrense was the friendly approach of the caretaker (I forgot the name) who, while showing me the rooms of the house, enthusiastically explained to me everything. He even shared some stories about the family that once lived there. Thanks to him, my short visit was well worth it. Before I left the place, the old man handed me a map/guide of the whole Silay Heritage Town as I've mentioned to him while we're touring around that I'm clueless where to go next. Hulog ng langit si kuya! I'm really thankful to him. Now that I have a map of Silay Heritage Town in hand, getting around was just a matter of knowing how to navigate through the map. 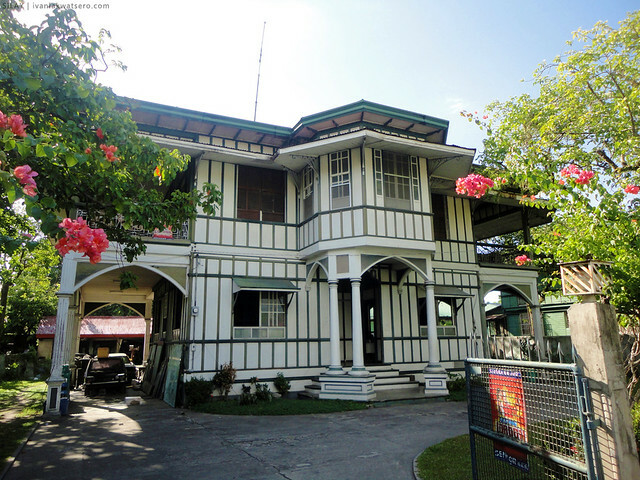 You see, these ancestral houses are scattered all over so a map will surely come in handy, not unless you have someone with you who can pinpoint each of the heritage houses in Silay. Good thing, map reading is something that I love doing, so hunting down the treasures of Silay was no more than a piece of cake. That afternoon, from 2:30 until 4, I fed my eyes with beauty and antiquity. 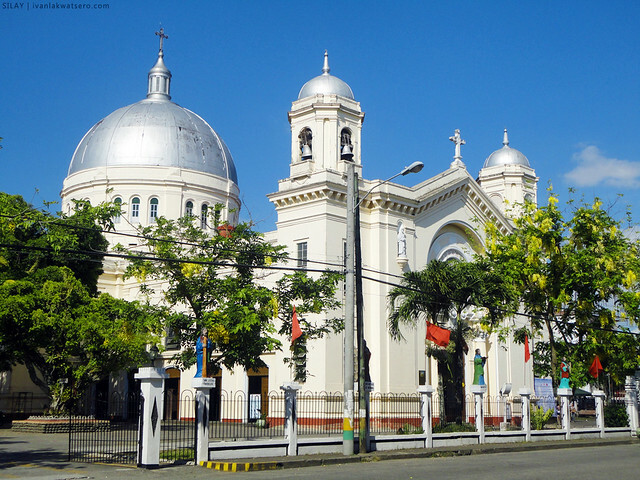 At the corner of Cinco de Noviembre street and Don Jose Ledesma street, a monument was built to commemorate the historic Negros Revolt that happened on the 5th of November 1898 which ended the Spanish rule in the island. 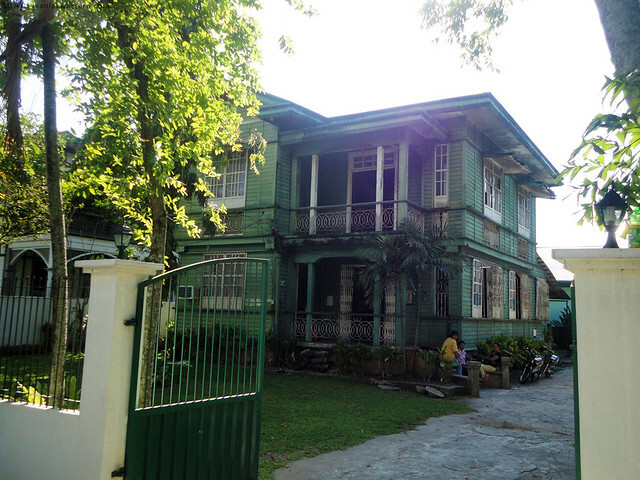 Leandro dela Rama Locsin Ancestral House. 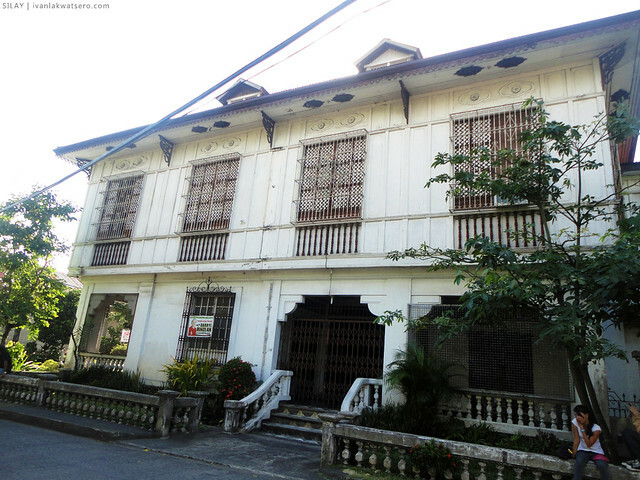 The renowned National Artist for Architecture, Leandro Locsin, once lived in this old house. Beside this house is Cafe 1925, I wish I had given it a try. At this point, I started to feel uneasiness— with a load of more than 10 kilos at my back, and a plastic bag probably 4 kilos full of pasalubong in my hands, at the same time it was a very hot day. 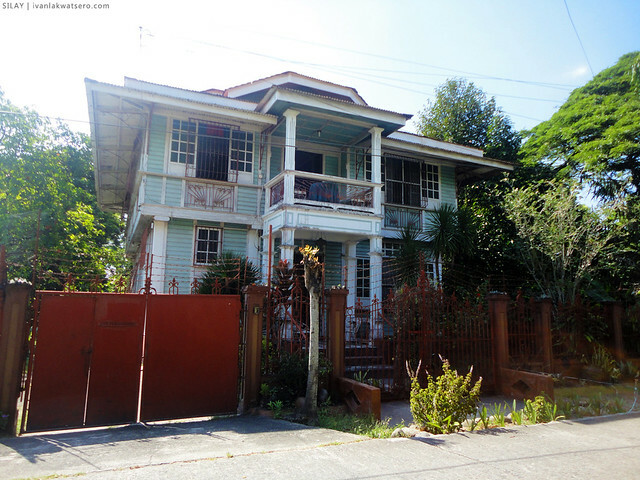 So I rested muna for a couple of minutes, then continued with my heritage house hunting again. 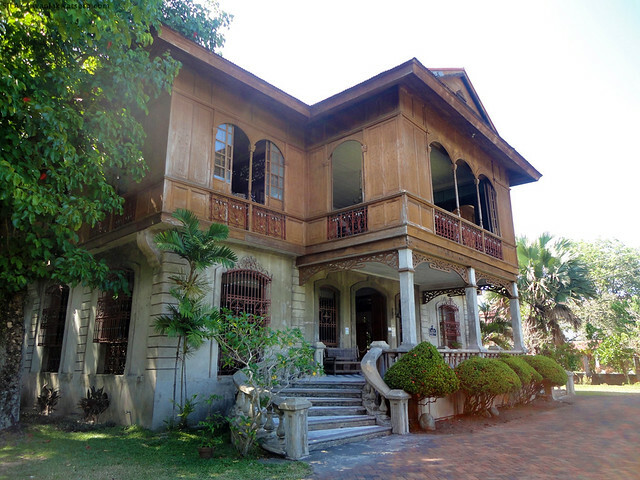 Cesar Lacson Locsin Ancestral House, or El Ideal. 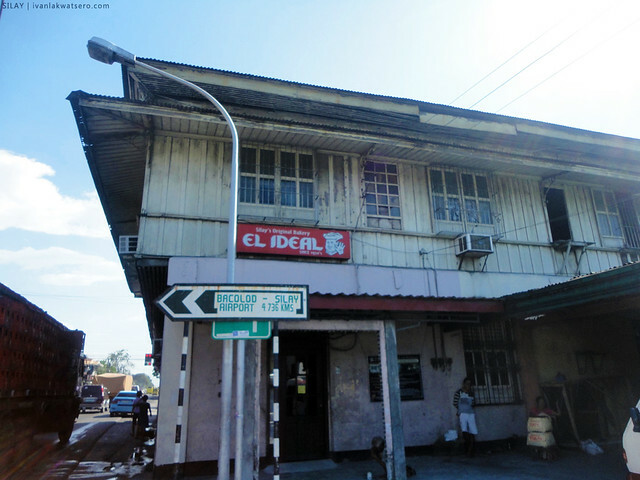 The oldest bakery in town. 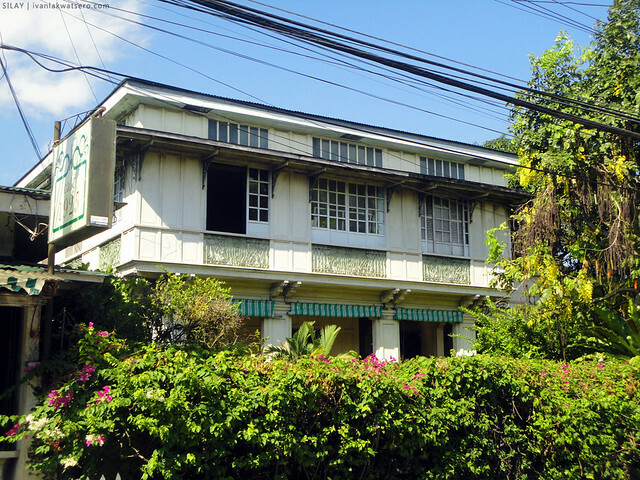 Manuel Severino Hofileña Ancestral House. Another one of the three houses that were converted into a museum. A great collection of paintings is on display. 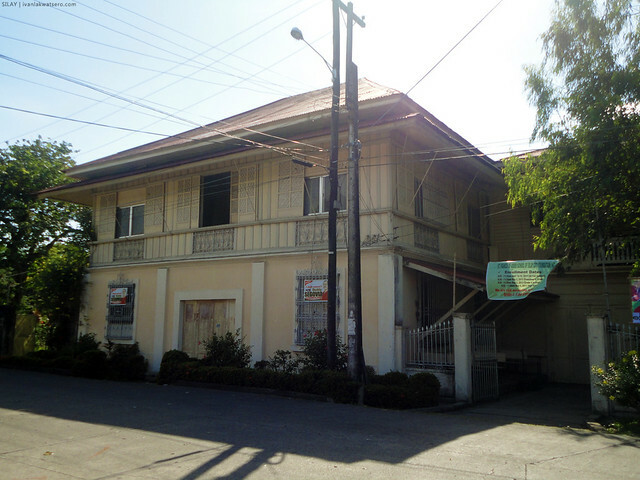 Maria Golez Ancestral House, now houses RCBC Silay branch. 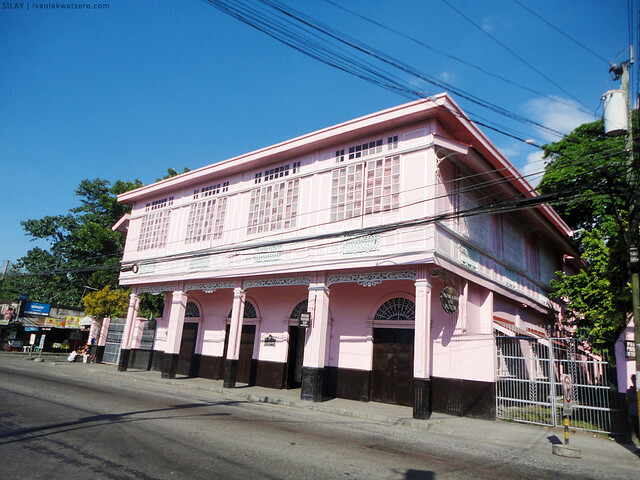 Don Bernardino Jalandoni Ancestral House, aka The Pink House. 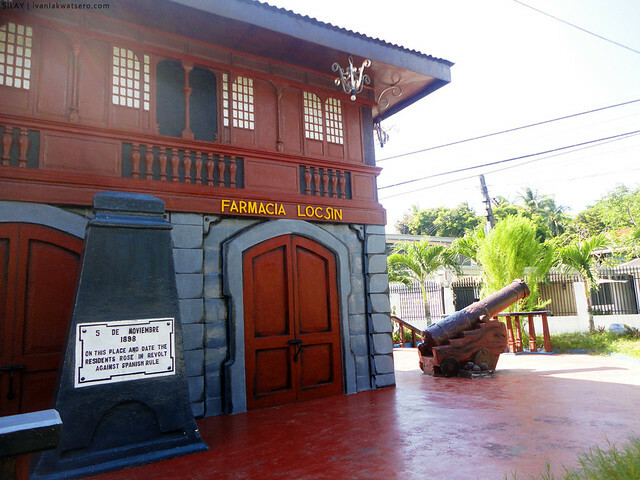 This is the 3rd house that was converted into a museum, has a collection from Silay's old past. 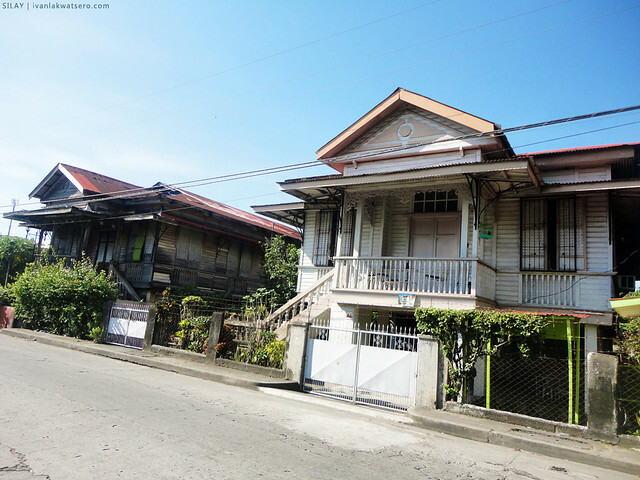 Along Rizal Street, the main road of Silay, four ancestral houses lay side by side. 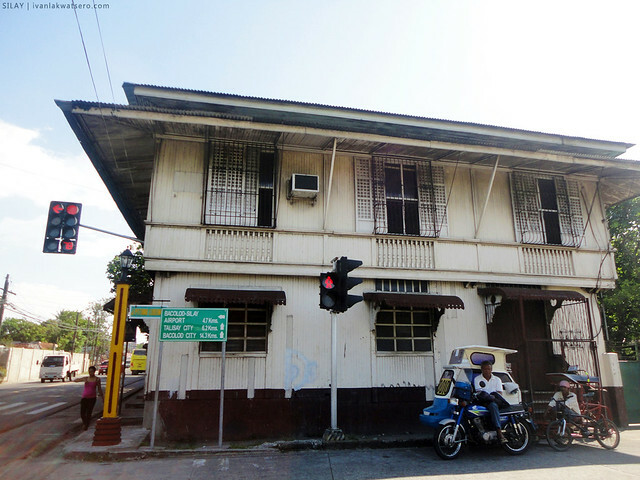 From left to right, Kapitan Mariano Montelibano Ancestral House, Antonio Novelia Sian Ancestral House, Manuel dela Rama Locsin Ancestral House, and Josefita Tionko Lacson Ancestral House. Random stuff that caught my interest. I didn't know there's already an internet cafe in the prehistoric times. After almost 2 hours of tireless walking under the heat of the sun, I spotted all the 25 heritage houses listed on the map. Hurrah! I guess I'm lucky enough to have seen all these houses. More than a sight seeing activity or a treasure hunting game, what I did was a total culturally enriching experience, as if I walked on a museum full of priceless treasures. I really enjoyed it. As much as I wanted to stay a bit more, time tells me to start looking for the van that will bring me to airport (kelangan ko na umuwi). Luckily, I found them easily, queuing near the plaza. At 4pm, I left the Heritage Town of Silay and I'm wearing a big smile of satisfaction. Ang ganda ng mga bahay! Except for the ones converted into museums, are the others inhabited? yes, owners still dwell in those houses. go for heritage!! namiss ko na ang ganitong gala!! ang ganda ng pagkagawa ng banko dun sa heritage house maayos!! kailangan pumunta din ako dito!! I love these post! super! :-) thanks Ivan! 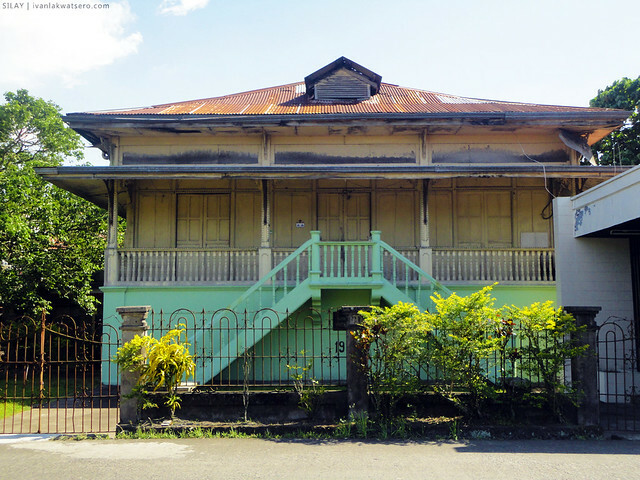 thanks for your blog.hope to see all those ancestral houses when i go there ds coming week. Alejandro Amechazurra was my great grandfather. 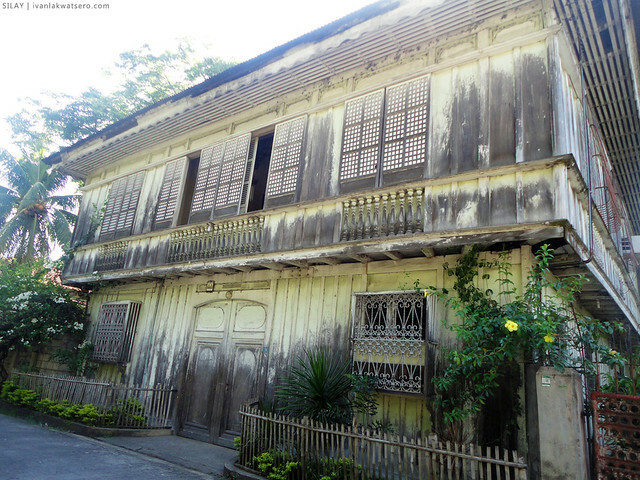 So cool to see that the ancestral house is still there. I'll be taking my family to visit it soon. Hi. 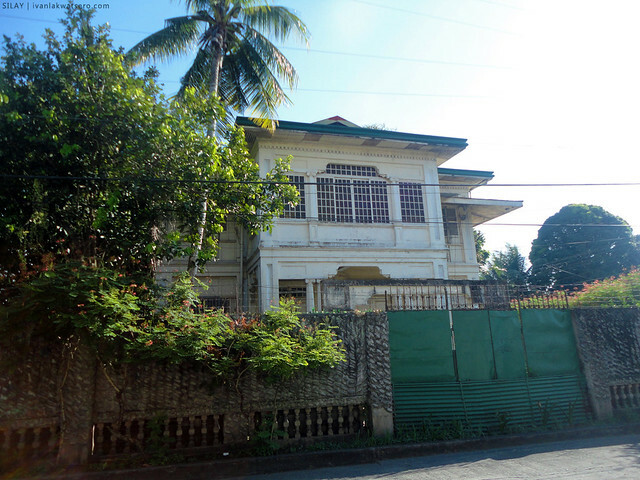 Lahat pa ng ancestral house ay open sa public ? 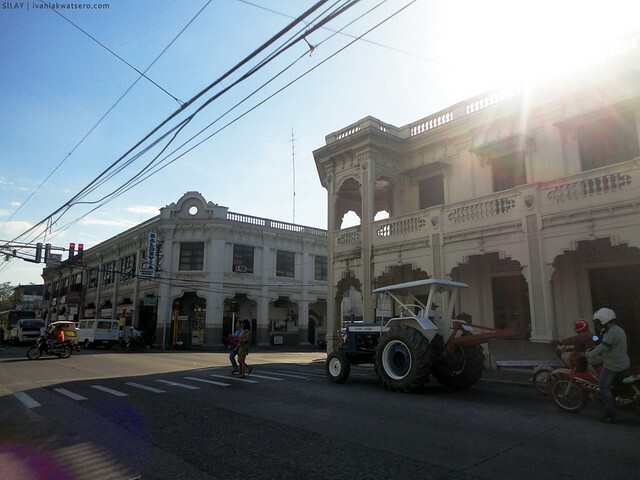 Very beautiful blog about Silay! This will be very helpful when I explore the area next month. Nice blog post about Silay! Your photos are beautiful. Thank you!